NASHVILLE, Tenn.— Sweat rolled down Dr. Edwina “Eddy” Collins’ chin to the floor mat as she gulped water from a plastic bottle. 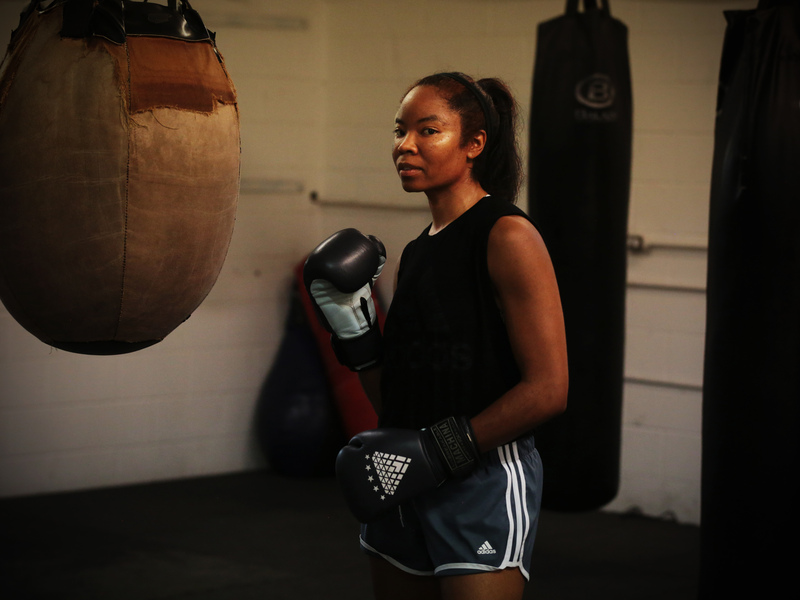 She had finished jumping rope and was heading toward the speed bag in the Boxing Resource Center, a nonprofit facility that teaches Olympic-style boxing to young people and adults. The worn center’s lighting was dim, but Collins’ focus was sharp. She began hitting the bag at awkward intervals before falling into a rhythmic pace. Collins has been training for the last three years to compete in the masters division of a boxing tournament, to be held in February. She trains three times a week for two to three hours, and will increase the intensity of her workouts as the event gets closer. As Collins punches invisible opponents and hanging bags with skill and precision, it’s hard to believe she was ever intimidated by the sport. After a friend brought her to the gym for a workout three years ago, boxing became a way for the 45-year-old dentist to stay in shape. Collins enjoyed the sport and began practicing more. Eventually a coach took her on and she began competing. “Age isn’t an issue for me. I actually don’t even like telling people my age because I’m not what people think my age should be,” said Collins, who explained that she has always been athletic, playing high school and collegiate volleyball. Collins’ coach is out of town during this week in May, but Collins isn’t the kind to take the week off. She finished her workout and took her gloves off to reveal hands wrapped in black and yellow tape. 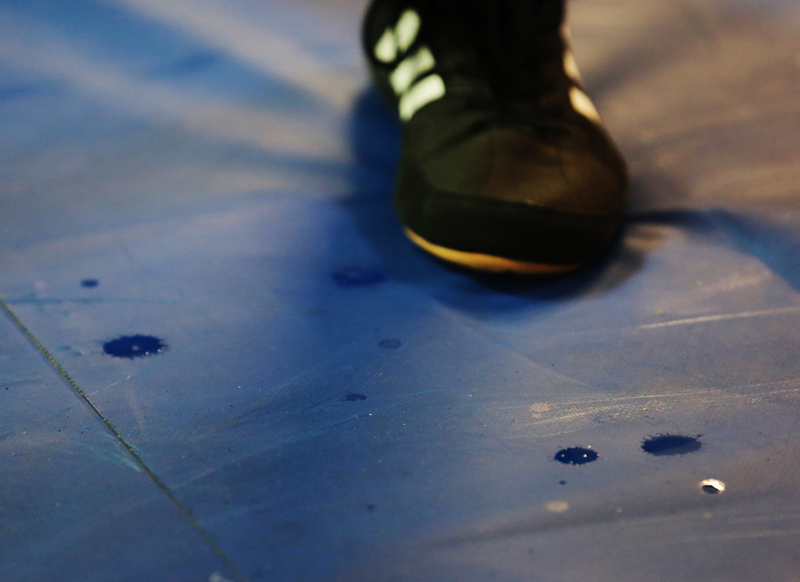 She sat on the side of the ring, catching her breath. Cardio is the hardest part for her. She dislikes distance running but does it to keep her stamina up. Boxing challenges her body and satisfies her competitive urges, she said. It allows her to express her athleticism, physically and mentally. She said being an effective boxer and an effective dentist require a similar mentality. Staying patient and calm when her patients are in severe pain helps them to relax, she said. That same energy translates to her boxing. When she is not relaxed, it makes boxing harder. She works to keep herself calm to do what she came to do, which is have fun. “As long as you’re doing something you enjoy, just continue to do it. There is nothing that can stop you. If it’s something that you enjoy, just do it,” Collins said. Tailyr Irvine is a six-month intern at the Tampa Bay Times in St. Petersburg, Fla., her CQS internship newspaper.